This is no time to panic about emerging markets. Imagine you hadn’t read the headlines about emerging markets this week. You didn’t know that South Africa slipped into a recession, or that the currencies of Turkey, Argentina and Indonesia are near record lows, or that seemingly every emerging-market analyst predicts that the trouble will spread to other developing countries. Instead, all you would have are the numbers showing how emerging-market stocks have behaved in the past. 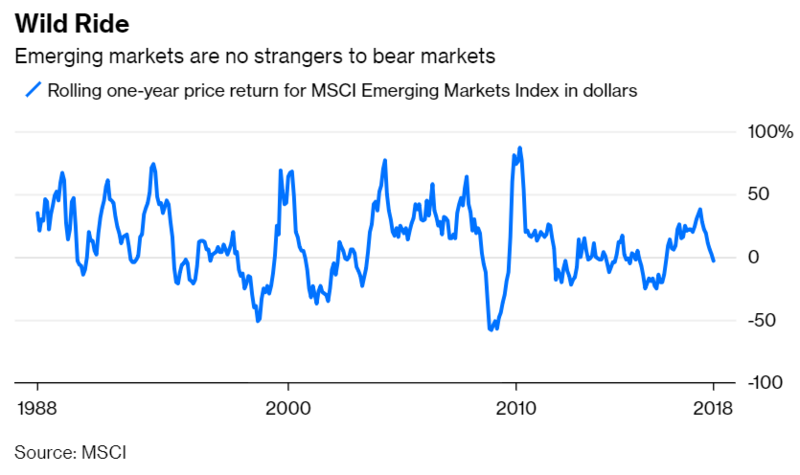 You would see that the MSCI Emerging Markets Index returned 8 percent annually in dollars since 1988 through August, excluding dividends, and that the volatility, as measured by annualized standard deviation, was 23 percent during the period. You would quickly deduce that emerging-market stocks are a wild ride. The EM index can be expected to decline more than 40 percent of the time and enter bear market territory — a decline of 20 percent or more — close to a third of the time. You would then notice that the EM index has fallen by 19.7 percent in dollars from its peak on Jan. 26 through Wednesday and most likely conclude that nothing unusual was happening. And let’s not forget their sagging currencies. The MSCI Emerging Markets Currency Index — a basket of currencies that tracks the country allocations in the EM index — is down 8.6 percent from its peak on April 3 through Wednesday. 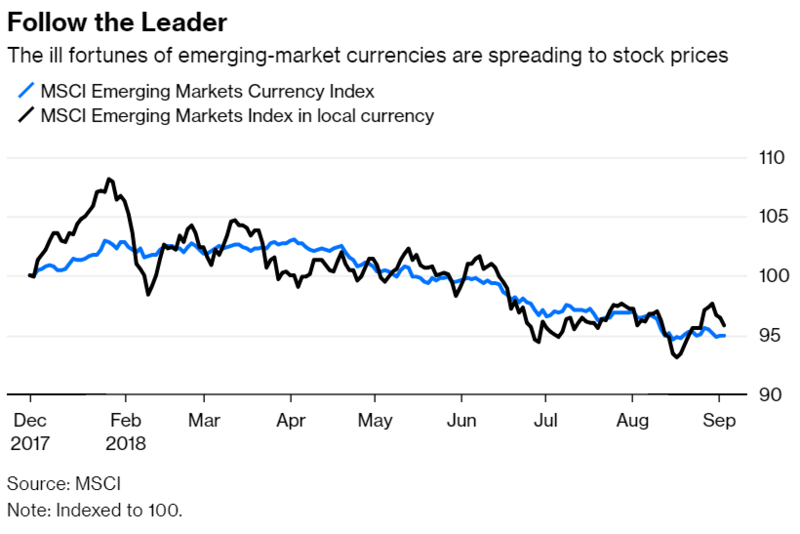 There’s evidence that when emerging-market currencies tumble, stock prices tend to follow, even after accounting for the currency fluctuation. The correlation between one-month price changes in the EM currency index and the stock index in local currency was 0.92 from 1998 through August, or a near-perfect relationship. That correlation declined only modestly to 0.7 over rolling one-, three- and five-year periods. So it’s not surprising that the EM index is down 4.2 percent in local currency since currency prices peaked on April 3. But here’s the thing: Investors turn to emerging markets for high growth, not stability. That growth is possible because emerging markets are building from a smaller base, which is just another way of saying that developing countries are, well, still developing and stumble often. This is a good time to remember that the premium investors expect from emerging markets over time is compensation for their willingness to remain invested when those growing pains show up. The problem, of course, is that investors struggle to stay in their seats. 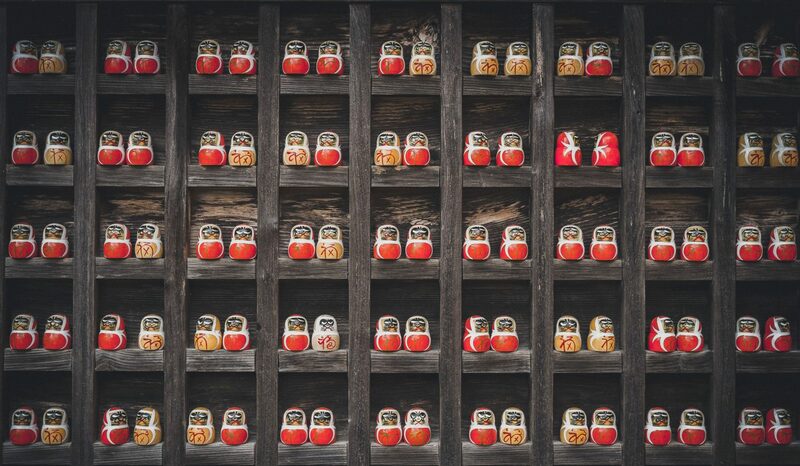 Morningstar calculates investor returns for 68 mutual funds that have invested in emerging-market stocks over the last 15 years through August, including the various share classes. The average fund returned 9.1 percent annually over that period, including dividends, while the average investor in those funds captured just 6.5 percent. And they’re at it again. 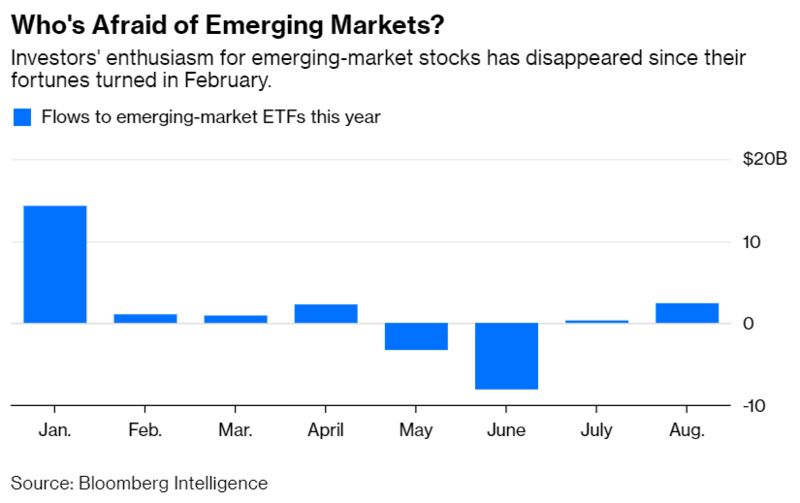 Investors pulled a net $4 billion from emerging-market exchange-traded funds from February to August, according to Bloomberg Intelligence. That follows inflows of $25 billion in 2016 and $54 billion in 2017, both years in which emerging-market stocks posted strong returns. Bailing out of a roller coaster midway through the ride is never a good idea. The same could be said about emerging markets right about now. Next PostNext Who Lost the Most in the Financial Crisis? Ordinary Americans.